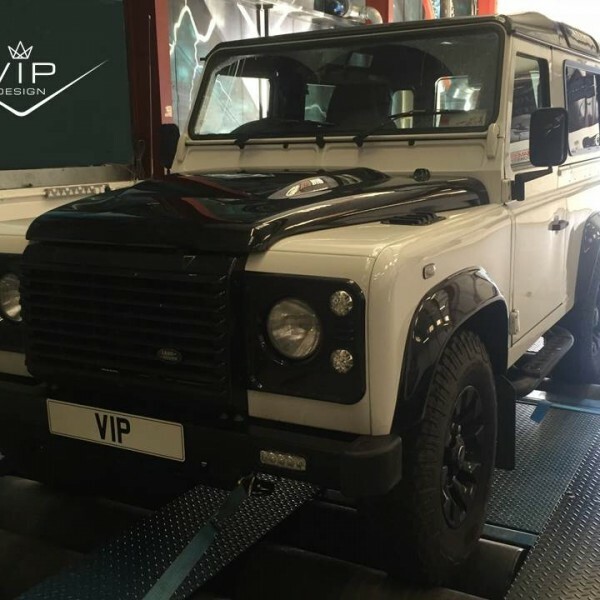 Land Rover Defender Upgrade: VIP Design offer a full design service and range of performance and styling parts for your Land Rover Defender, both the 110 and the Defender 90’s are covered as you would expect. 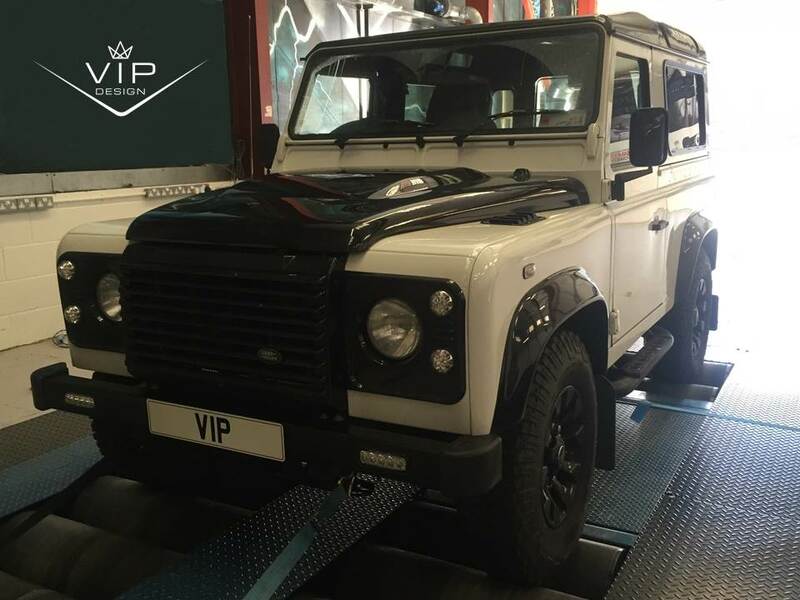 Due to the range of parts, styling and customer requirements our Land Rover Defender styling packages can include full interior re-trims, pain work, rust removal and repair, a huge choice in wheel an tyre packages, bull bars, roll bars, LED lights, and much much more. Our Land Rover Defender packages are completely custom, and can include make overs and upgrades transforming your Land Rover Defender into a cool moody urban monster. Or an unstoppable off road high-lift 4X4 more suitable for the Paris Dakar, And anything in between of course. Land Rover Defender projects can start from just £350 for a front grill / headlight make over to full vehicle refurbishment and make overs.